My First Time is a regular feature in which writers talk about virgin experiences in their writing and publishing careers, ranging from their first rejection to the moment of holding their first published book in their hands. 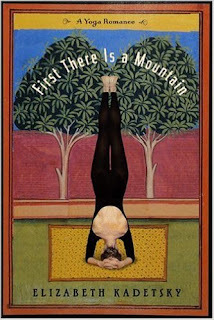 Today’s guest is Elizabeth Kadetsky, author of a memoir, First There is a Mountain: A Yoga Romance (Little, Brown); a story collection, The Poison that Purifies You (C & R Press); and a novella, On the Island at the Center of the Center of the World (Nouvella). 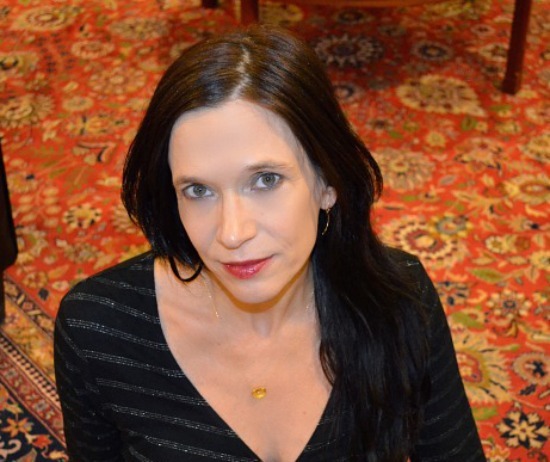 Her short fiction and personal essays have been published widely—recently in Glimmer Train, Antioch Review, and New England Review. 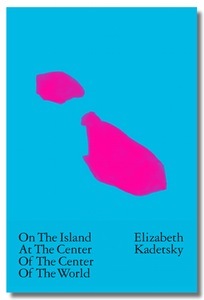 She is assistant professor of fiction and nonfiction at Penn State, and her words can be found at elizabethkadetsky.com. My first publication was a series of poems and drawings accepted for the campus literary magazine by my best friend. My first prose publication was a truly awful article occasioned by my summer in Cuba rooted nevertheless exclusively in research, submitted to the feminism editor at the campus newspaper, who, recognizing its awfulness, completely rewrote it in an equally awful manner, and then proceeded to hire me for an internship in which I would produce eleven articles on feminism each of which she would rewrite in a similar pattern of awfulness replaced by a yet different form of awfulness. My first fiction publication would occur several months after my college graduation, accepted for print by my then boyfriend, an older man and a publisher of a small literary review. It was a story about a young woman who suffers a kind of PTSD after a series of comical and disturbing episodes that take place while she tries to leave her boyfriend, an older man. It was based on true events, and modeled in part on the writings of Rona Jaffee and Joan Didion in the tradition of young women who are horribly unprepared for it moving to New York City to start out their new lives as writers. In retrospect, this story wasn’t so bad—“Mood Indigo on Duke Ellington Boulevard.” It was perhaps painfully funny, but when I finally secured a literary agent for a different work he said it read like “something you would read in a magazine.” By that, I think—or I thought charitably to myself at the time—he meant the type of fiction for hire that the likes of F. Scott Fitzgerald and James Thurber used to produce in the early 20th century for magazines such as Saturday Evening Post. But he might have meant, more derisively, women’s magazines. The agent nevertheless helped me publish my first book, after which he summarily dumped me when I told him I’d be writing exclusively short stories. That first book, a memoir: I worked on it for seven years before it was published by a top New York press. The fact of its long trajectory was a point underscored in a profile of me in Poets & Writers magazine upon its publication. This focused on the fact that I stuck with the project against all odds, never receiving the hoped-for advance to produce it, and then, seemingly miraculously and certainly in spite of myself, got it not just published but published well. Reading over this litany, I am struck by an obvious truth that would occur to anyone: I am nuts. In spite of all evidence to the contrary, I pursued my idée fixe that I was a worthy writer. In fact maybe I’m not even a good writer. But, then, I’m an amazing writer. Such are the tricks of the ego. The unreliable narrator narrating my own life to myself at the time certainly operated according to the logic of this ipso facto truth, that I was an amazing writer. How else could I have persevered in this psychotic manner? Is there a lesson here for the young writer? There were many years before I secured my first faculty teaching job. During that uncertain time, I suffered poverty, grief, anxiety, depression, nights up at 3 a.m. asking myself what I would do if my book never sold. There was the uncertainty of my future; the question of whether my entire self-conception as a writer was based on flimsy evidence if not lies; the bigger question of how to support myself or whether my lot in life was as a truly excellent copy editor for magazines or how to pay my rent when even that work eventually dried up. One of my mentors in my MFA program once said to our group, “I look at my baby daughter with such love and tenderness. And I think, Please, please, don’t be a writer.” Is this the answer? Spare yourself the grief! 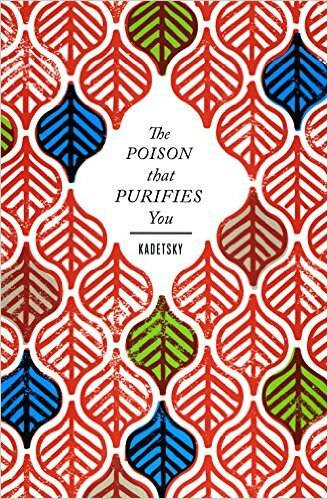 Certainly, when I met with a grad student recently who told me of her plans to pursue a PhD instead of creative writing, I heard myself railing against the academic establishment, heard myself telling her to be true to herself, her creative muse, her dreams. Then I stopped myself. In fact, this particular student may not have had what it takes, and by that I mean a modicum of insanity and megalomania, the constitutional impracticality to blaze forth without a contingency plan. Think of it: a journalism degree; five years as a long-form journalist for increasingly high-profile national venues; a career change; an MFA; seven years working on Book Number 1. Had Book 1 never received a fond reading by a fairy godmother editor at a top house, I may have squandered all that, and in addition lost my shot at becoming a journalist on a national scale. That possibility, to me, was and remains terrifying. Would I have become a housewife, a dabbler, a starving visual artist, a member of a commune? Such is the garden of forking paths. In the end, I do have some qualms about the proliferation of MFA programs encouraging students on a path that many may not have the wherewithal to follow through. On the other hand, perhaps the same proportion as at any other time ultimately pursues the dream, throws out the competing desire for stability, salary, the house with a lawn and kid and the neighbor’s cat. Crazily, I now have all that, too. But it took a long time. Certainly, for me, the adventure was worth the injuries along the way.